Endless flying fun! Simple one tap arcade game with nice 3d graphics.Arcade Plane 3D is fast, easy to play but hard to master flying game. Tap & hold to dive, grab stars to tank the fuel and survive as long as you can. 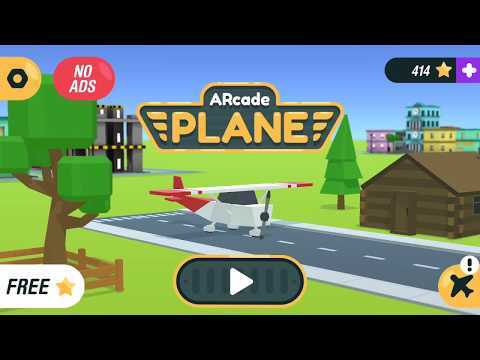 Collect coins, build your city, buy new airplanes and reach the highest level you can. Simple 3D graphics = huge fun from flying.Let’s fly around lovely island, everything in beautiful low-poly 3D environment. Flying, freedom, and lots of aircrafts and space ships!